An emotional Princess Diana tells of her anguish at the breakdown of her marriage in sensational video tapes to be shown tonight on American television. In the tapes, recorded secretly at Kensington Palace in the early 1990s and never seen before, Diana is scathing about her 1981 wedding to Prince Charles. "My wedding day, I think that was the worst day of my life," she says. "If I could write my own script I would have my husband go away with his woman and never come back." As well as references to Charles's affair with Camilla Parker Bowles, Diana reveals her constant battle to live up to her "fairy princess" public image. "The public side was very different from the private side," she says. "The public side, they wanted a fairy princess to come and touch them and everything will turn into gold and all their worries would be forgotten. "Little did they realise that the individual was crucifying herself inside because she didn't think she was good enough." The two-part documentary, Princess Diana: The Secret Tapes, which starts on Thursday on NBC, focuses on the early 1990s when the royal marriage was known to be in trouble. It features footage of the princess at home with Princes William and Harry. It was taken between September 1992 and December 1993 by a friend of Diana's, thought to be her former voice coach Peter Settelen. Several other video tapes are the subject of a legal action by Mr Settelen who is trying to recover them from police after they were taken in a raid on the home of Paul Burrell, Diana's former butler. A spokesman for NBC described the footage, which was taken with the princess's permission, as showing a "relaxed, candid Diana at times laughing and interacting with her young sons, illustrating the lighter side of a woman who maintained a very reserved public persona". The network has refused to say where it obtained the tapes. The documentary also features interviews with Diana's closest friends and confidants, some of whom have never spoken publicly. The programme also broadcasts for the first time the audio tapes which formed the basis of Andrew Morton's 1992 international bestseller Diana: Her True Story. Most of the words on those tapes were published in a revised edition of the book after Diana's death. But they have never been broadcast publicly. Those recordings, about seven hours of taped responses to Morton's written questions, were secretly made in Kensington Palace in 1991 during a series of interviews conducted through an intermediary. In the tapes, the princess talks openly about her life before marrying Prince Charles, her long battle with bulimia, her suicide attempts, the heartache over her husband's long affair with Mrs Parker Bowles and her strained relations with other members of the Royal family. She describes her horror at Charles's decision to give Camilla a bracelet two days before their wedding in July 1981. Diana quietly recalls: "I was devastated." And she tells of how even on the day Charles proposed, she never believed she would become Queen. She says: "He said, 'You do realise that one day you will be Queen?' and a voice said to me inside, 'You won't be Queen but you'll have a tough role'." Diana originally insisted she had nothing to do with Morton's book. Questioned by the Queen's private secretary Sir Robert Fellowes, her brother-in-law, she categorically denied any involvement and the Royal Family tried desperately to discredit Morton's account. When questioned about Morton, Diana said cleverly: "I have not spoken to him." Of course she had not: she had used the tapes to tell her story. A friend, Dr James Colthurst had delivered and collected the tapes. It was only after Diana's death that the author revealed how she had collaborated with him. When it transpired that Diana had misled him, Sir Robert offered his resignation, but the Queen refused to accept it. A Cancer New Moon of Emotional Evolution. 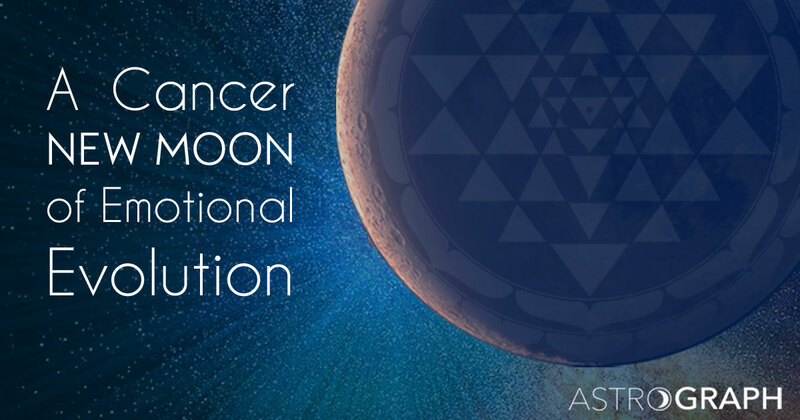 The Cancer New Moon of early Monday morning is another in the series of potent lunations that we have been seeing, in part due to the extreme contrast of Saturn-Neptune in square, and aspected by the Sun and Moon. Then, as well, both Uranus and Pluto are stimulated, implying that there is plenty of transformational pressure upon us as we head into what is sure to be an intense, divisive, and interesting summer period. With Sun, Moon, Mercury and Venus all in Cancer, this is a highly emotional time, now and setting the tone for the remainder of this thirty-day cycle, a period when everyone’s feelings are right there, “on their sleeve,” and in their facial expressions. Moreover, in this New Moon configuration a Grand Trine exists between Venus, Mars, and Chiron, the Wounded Healer, all in different Water signs, and this Grand Trine aspect pattern repeats throughout the month with slightly different players, most notably on Monday, July 11th and on Tuesday, July 19thwith the Full Moon. With Chiron in this picture we might well find occasions when our inner wounding will arise in interpersonal contacts and hopefully be faced in a mature way; that is, with an understanding of its origin within oneself and with a powerful determination to become more comfortable and accepting of the walled-off parts of our own nature. The emotions that we are collectively feeling will also appear to others, front and center for all to see. 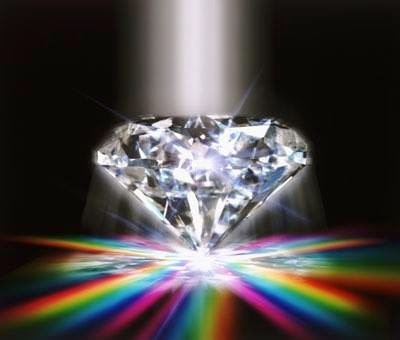 They say that misery loves company, and this well-worn phrase could also turn out to be true regarding the strenuous efforts at spiritual evolution and self-love that we are likely to encounter in ourselves, as this passionate month of July continues to unfold. The end of Khazarian mafia tyranny on the planet earth is getting very close indeed. The Rothschilds and other top Khazarian Mafiosi families like the Borgia, the Medici, the Del Banco (Warburg) the Rockefellers (including the Clintons) the Bushes (Pecce) have been given until July 10th to reach a peace agreement with the people of the planet. After that a bounty of $100 million each, payable in gold, will be handed over to anybody who can arrest, and if they resist arrest, kill, members of these genocidal families. We are hearing there is vicious infighting and arguing going on within the “family,” about what to do about this situation. As this newsletter was about to go online, we were contacted by one faction of the Rothschilds and a meeting with a White Dragon Society representative is now being arranged for this week. The meeting will discuss how to create a financial system that is good for both humanity and nature. It will also discuss creating a new meritocratic, democratic and transparent system for planning the future of our species and this planet. Yet another group, claiming to represent a coalition of 172 sovereign nations, also threw in its support last week for a new, inclusive financial system.